Today, looking your best has become almost an obsession. More and more, people are going under the knife to achieve perfection. Nips and tucks aren’t just for celebrities either; those in the mainstream are seeking plastic surgery to walk away looking like a new person. And while most cosmetic surgery patients are pleased with the results, there are certain those who have a poor result. The risks of facelift surgery include infection, neurological dysfunction, asymmetry, skin necrosis and more. In most cases, plastic surgeons are highly skilled and properly trained to perform facelifts without committing errors. But some surgical errors can lead to permanent injury or even death. Facelift errors may occur when the plastic surgeon has implemented poor surgical technique or substandard care when carrying out the surgical procedure. This can result in pain and suffering. Due to the nature of facelift surgery, such errors can also result in a patient suffering from psychological trauma and more stress at the idea of having to undergo further corrective surgery. Rhinoplasty is surgery to reshape the nose. It can correct bumps, change the angle or alter the tip of the nose. Depending on the desired result, cartilage and bone may be removed. And there are risks associated with rhinoplasty surgery. Bleeding, holes in the septum, skin necrosis, infection, nasal blockage and complications of anesthesia are just a few of the risks. It’s also possible that your new look will be not what you wanted. The risks for breast enhancement plastic surgery include bleeding, changes in breast sensation, faulty position of the implant, implant leakage, persistent pain and possibility of revision surgery. Here’s a list of questions to ask your doctor before making that decision to have breast augmentation. Are you currently certified by the American Board of Plastic Surgery? Are you trained in the field of plastic surgery? How many years of plastic surgery experience have you had? Is your office surgical facility accredited by a nationally or state accrediting agency? What are the risks and complications associated with my plastic surgery procedure? What are my options if I am unhappy with the cosmetic outcome of my plastic surgery? Do you have breast augmentation photos I can look at for this procedure and what results are reasonable for me? Also known as a tummy tuck, abdominoplasty has a higher risk of major complications compared to other types of cosmetic surgeries. Scarring, hematoma, blood clots, fat necrosis, asymmetry and numbness are several examples of risks with abdominoplasty surgery. It is major surgery and it’s important to educate yourself and do due diligence in your choice of plastic surgeon. Potential complications specific to liposuction include contour irregularities, fluid accumulation, numbness, infection, internal puncture, fat embolism and kidney problems. With contour irregularities, the skin may appear bumpy or wavy due to uneven fat removal. Damage beneath the skin may give the skin a spotted appearance. If there is an internal puncture, emergency surgery may be needed. With a fat embolism, pieces of lose fat may become trapped in a blood vessel or travel to the brain. This is a medical emergency. And shifts in fluid levels can cause a life-threatening kidney problem. Blepharoplasty surgery greatly improves the appearance of tired looking eyes. This is done by removing excess skin and pockets of fat from the upper and lower eyelids. as with all eye surgeries, the possible side effects and risks must be weighed while considering if the procedure is right for you. Most side effects associated with eyelid surgery are temporary but permanent impairment should always be considered. If you have been injured as the result of negligence of a plastic surgeon, contact an experienced medical expert like Dr. Edward Mallory. The main function of his medical expert witness business is to provide his expertise in the courtroom in order to support his client’s case. He gives written or oral testimonies and “expert opinions” and his interpretation or medical record review is crucial in cases of the law involving medicine. 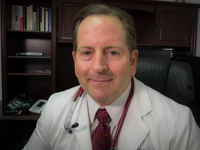 Visit his website http://emergencyexpertforyou.com/ for more information.